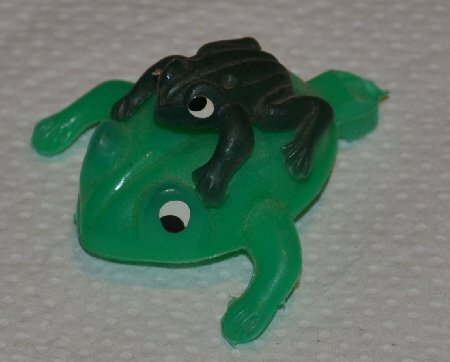 This plastic frog pair shows a small male on top of a female. The eyes are painted so that the female is looking down and the male is looking up. This was a toy that broke and rear legs of the frog on the bottom got lost.